If you are planning to spot an UFO anytime soon, the best chance you have is to visit an active volcano. For unknown reasons, volcanic eruptions are responsible for a large number of UFO sightings caught on camera. One of the most recent captures of this sort comes from Japan’s Kuchinoerabu Island, dating from May 29th, 2015. At 9:59 AM, Mount Shindake erupted with a burst of blazing rock and toxic gases reaching as high as five miles into the air, spreading ash all over the isle. Mount Shindake, with an altitude of over 2,000 feet, caused a big surprise when it erupted, as it last manifested on August, 2014. Before its last outburst in 2014, the mountain had slept for 34 years. 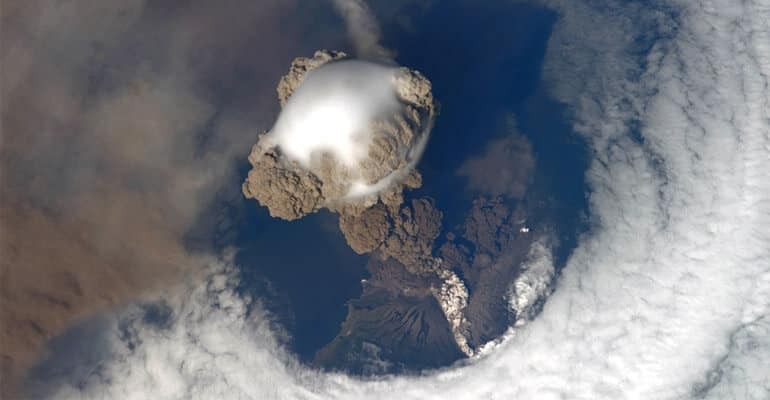 What might have caused the 2nd eruption so close in time raises some question marks. As a huge cloud of smog rose thousands of feet into the air, the strange object made its appearance. Shortly after the eruption, the UFO scouted the area and then disappeared into the sky. Some people consider this UFO to be a drone or even a bird. Considering all the “hot mess” caused by the volcanic eruption, it is hard to believe that a bird could endure such heat, not to mention all the flying debris that could rough up a drone in seconds. The only plausible explanation remains that of an alien spacecraft or of a human flying device. In any case, the conditions near the volcano are hellish enough not to venture near it. So if we are really dealing with aliens, what’s attracting them to an erupting mountain? Rumor has it that the energy cast loose by the volcano is captured by alien sensors, therefore attracting them for some unknown reason. 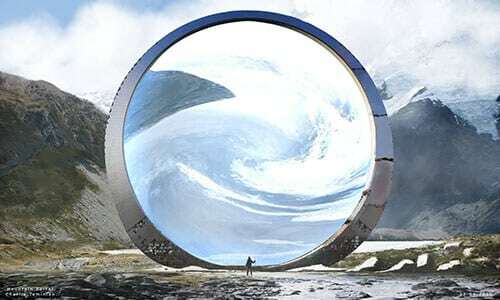 Other people believe the crater of the volcano is a portal to Shambala – the inner earth city, which opens when the mountain erupts, providing the perfect cover-up for aliens because of all the smoke and debris and extremely high temperature. To add up to this theory, I’ll end up reminding you that UFOs are a common sight around erupting volcanoes. In April this year, two different sets of UFOs were spotted at the Calbuco volcano eruption in Chile, other sightings happened near Costa Rica’s Turrialba volcano in March, and also near the Colima volcano in Mexico in late 2014. With the current scientific advancement, hi-tech devices are becoming increasingly common, therefore more of us are able to buy equipment and surprise alien encounters. It can’t be long until palpable proof is revealed, or at least solid images or videos of alien experiences. For the time being, we shall continue our search in providing the best footage available of alien encounters and intriguing mysteries across the globe.